Fluency is an important part of reading. Students who are fluent readers recognize words automatically. They group words together as they read, and they read with expression and intonation. 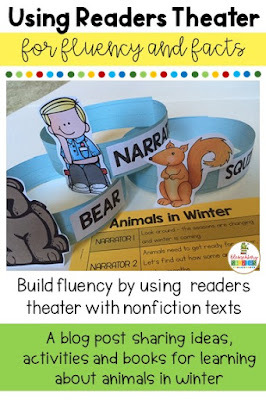 Fluent readers do these things whether they are reading orally, or silently. Studies have shown that students who are fluent readers have better reading comprehension. Why are reading fluency and reading comprehension so highly correlated? Dr. S. Jay Samuels, a professor and researcher well known for his work in fluency, talks about automaticity and its effect on reading. Readers who need to spend all their energy on decoding words don't have enough mental stamina left to be able to focus on meaning. Fluent readers, however, decode the words automatically and can focus more on the meaning of what they are reading. There are many ways to help students improve their reading fluency. One of my favorite ways is by using readers theater. 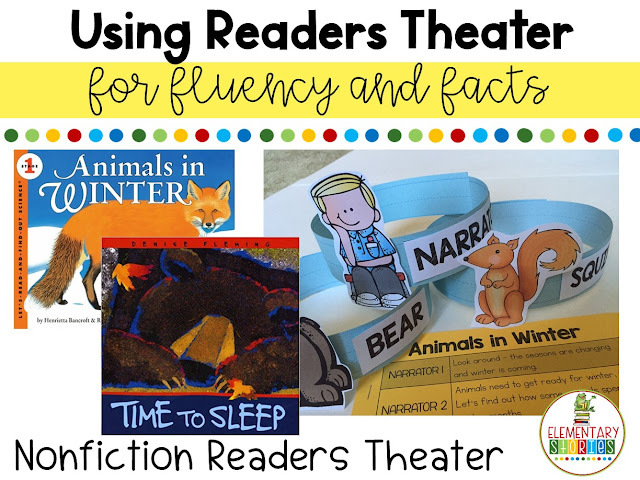 I like to up the engagement by using readers theater to not only work on fluency, but to also give students the chance to gain information from the text. Nonfiction readers theater is perfect for this! It gives students a purpose for reading - to learn more information or find answers to questions about a topic, as well as providing them opportunities for repeated readings. 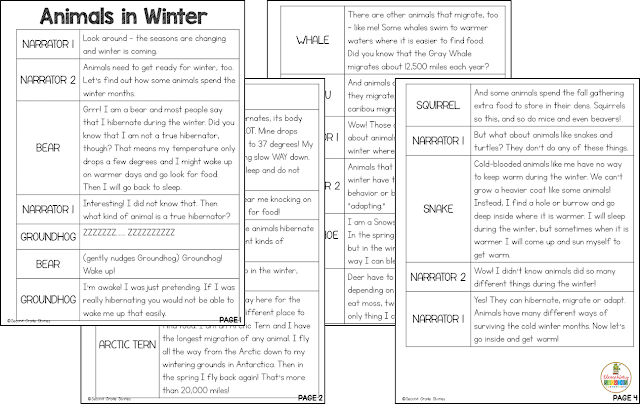 I start like I would with any nonfiction text, finding out what students know and what questions they have about the topic. Then we work on reading through the script, recording details and information about what each of the animals does in the winter. I use these sheets (or turn them into a bigger chart) for us to keep track of our information. Sometimes I read a book aloud first, to give my students some of the vocabulary. Other times, we use the context to figure out what the word means. Finally, we do some repeated readings of the text, focusing on automaticity, "scooping up" words, reading punctuation and rate of reading. I always find a way for my students to share what they have learned, either by reading the script to others in the class, a different class in the same grade, or older or younger buddies. This gives their learning real purpose. Oftentimes, students like to write about what they have learned, as well. I have two books that I love to use when I am teaching about animals in winter. 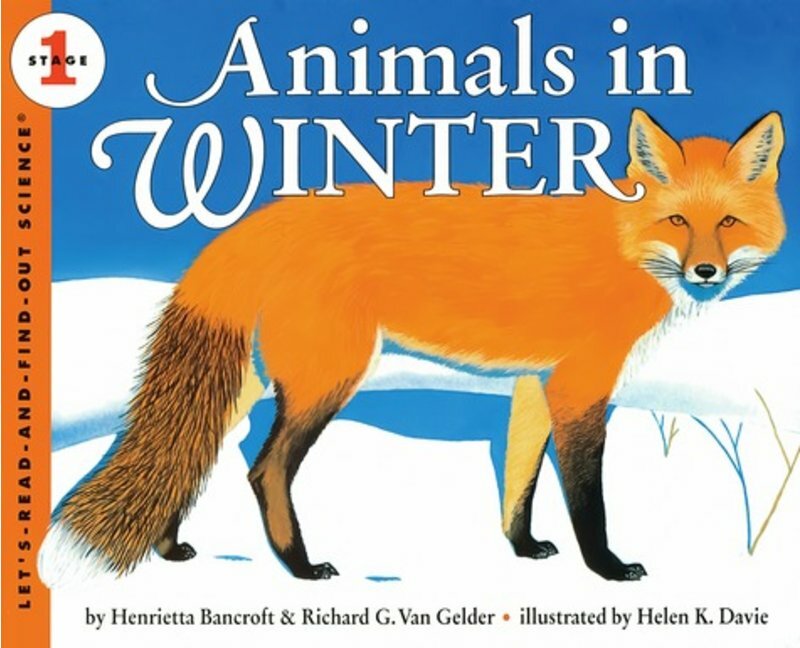 This is my go-to informational book for animals in winter. 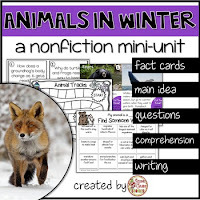 It's easy to read, but filled with facts about lots of different animals. I like to make a chart with the pictures of the animals sorted into categories according to what they do. Then we go in and add details. This is a perfect book for practicing fluency and expression. 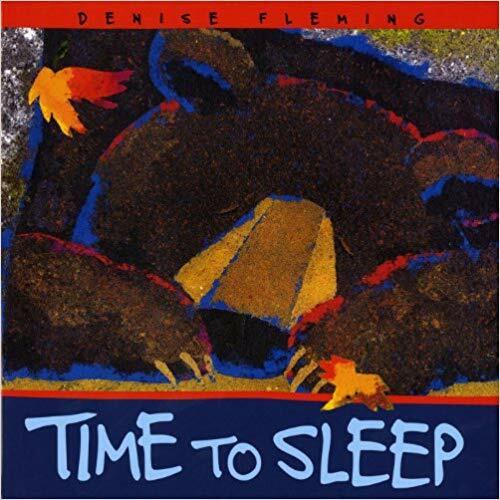 Denise Fleming never disappoints with her word choice and rhythm. We read the story, make puppets and have fun retelling. 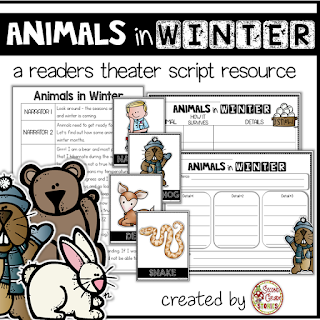 The animals in winter readers theater script and the additional resources are available in my Tpt store. You can click on the image below to find out more details. 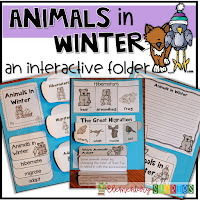 I also have a fun interactive folder unit and an informational unit on animals in winter, too. You can also visit some other literacy bloggers and see what resources they are sharing! Love your post, Lisa. Animals in Winter is a sweet book. I actually have a post on my blog using it too for main idea and details.